Nothing booked on our production schedule at this time, due to Janet’s current gig in the desert full-time teaching and directing. 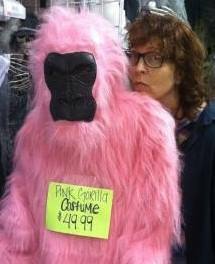 Who knows…maybe the next show will feature a pink gorilla? We’ll let you know when we figure it out!